Enables the HCO in demonstrating commitment to quality of care. Raises community confidence in the services provided. Provides opportunity to benchmark with the best. Accreditation benefits all stake holders, patients/customers are the biggest beneficiary. Results in high quality of care and patients/customer safety. 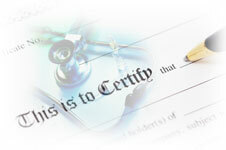 Patients/Customers get services by credentialed staff. Rights of patients/customers are respected and protected. Patients/Customer satisfaction is regularly evaluated. Staff are satisfied lot as it provides for continuous learning, good working environment, leadership and above all ownership of service processes. Improves overall professional development of staff and provides leadership for quality improvement in various techniques. Provides access to reliable and certified information on facilities, infrastructure and level of care.